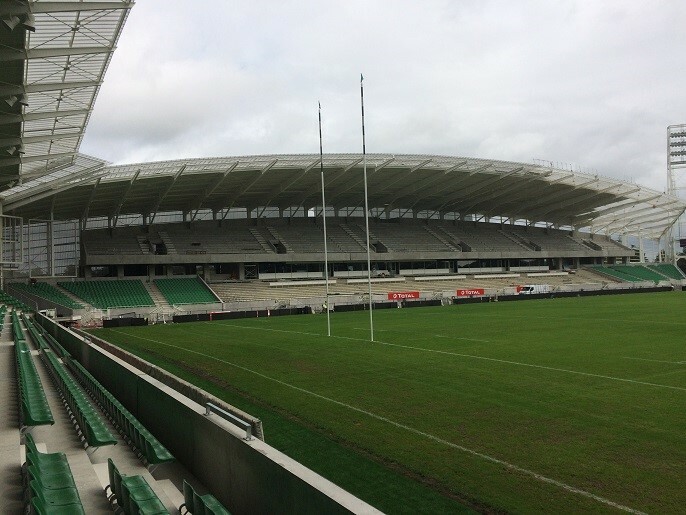 In order to give a brand new and modern rugby stadium to the region and to support the local rugby team, the Stade du Hameau in Pau, in the South of France, was completely rehabilitated and expanded, using steel profiles from ArcelorMittal Construction France. support the Section paloise rugby team and Pau FC football team by meeting the standards of the National Rugby League which requires professional clubs to have high-level facilities. This project also had a sustainable angle as the idea was not to build a new stadium from scratch, but rather rehabilitate the former stadium. To place the audience closer to the game, the architects opted for a “U shape”, and thus chose to build a third tribune to connect the two existing ones and a new semi-circular building closing the shape. 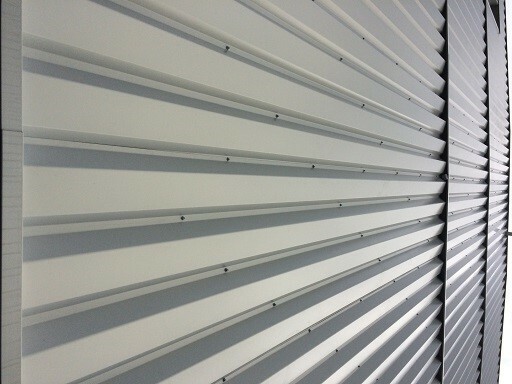 For their construction, 5,500 m² of steel products produced by ArcelorMittal Construction France in Contrisson and Haironville were supplied to customer CANCÉ, a major player in the metal construction sector. ArcelorMittal Construction has a full control of the products’ production process, from hot rolled coils to galvanising and pre-painting and profiling, which was a huge advantage for the customer. 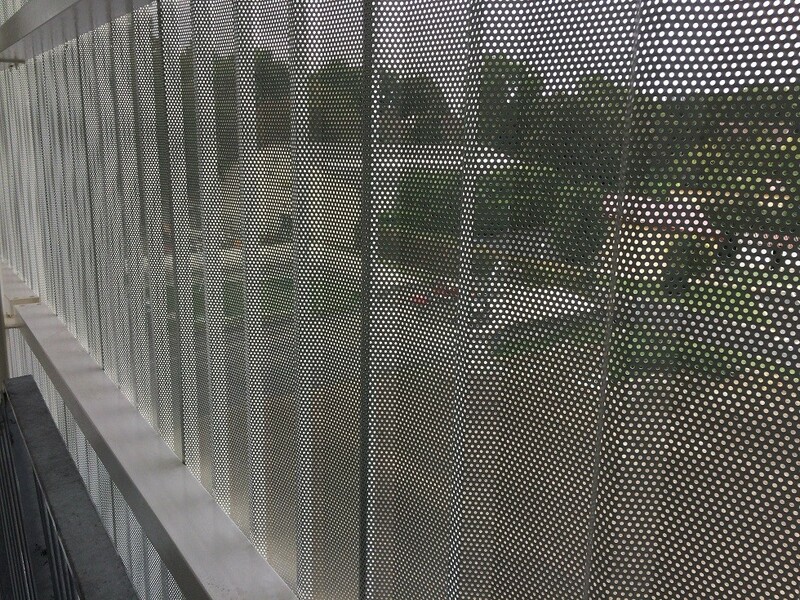 ArcelorMittal’s Océane® 70 wall cladding is particularly fitted for this architecture. 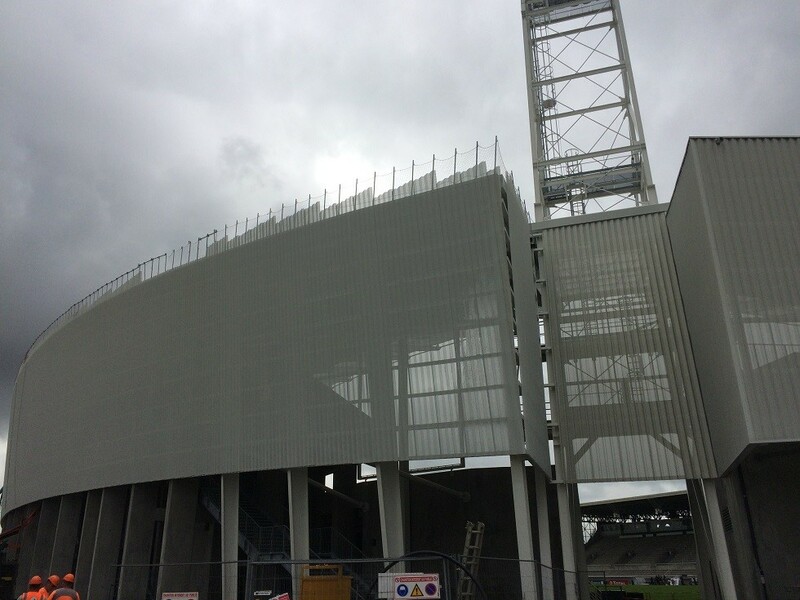 The perforated profiles with the IRYSA®’s special iridescent colour, perfectly meet the architect’s needs who wanted the stadium to have a transparent white envelope to be visible from afar and even by night when the lights are on. Perfect for a new landmark building!